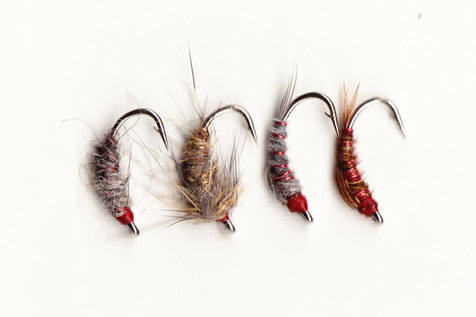 Because trout and grayling feed on small nymphs,pupa and larva on all waters a set of these is more than useful. Pretty drab tyings with odd hot spots that will tempt fish on any water worldwide. The Pheasant Tails and Grey Goose Nymphs are lighted than the Killer Bugs and Gold Ribbed Hares Ear.